'Vuola lávlla' was later reworked to 'Beer Beer' from Korpiklaani's 'Voice of Wilderness' album. 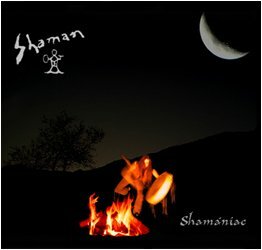 The song 'Shamániac' appeared on the 'Shamaani Duo' album 'Hunka lunka' in an early form. Back then the song was called 'Šamanát'. * A "seita" (also written "seida", "seid" or "seyda") is a sacred place in the Sami culture; it can be a stone, a lake, a natural formation or even a particular human artifact. Recorded & mixed at BT-Powerhouse October 2001. Mastered at SDC Finland Oy.